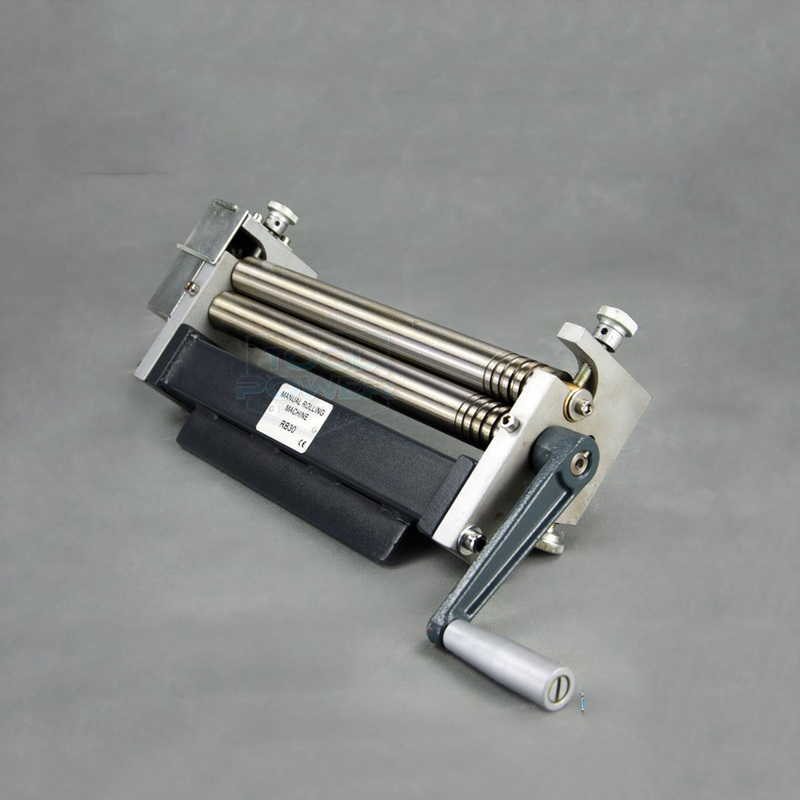 • Metal Word Slotting Machine, metal strip Bender is mainly used for metal edge bending of Metal letter. 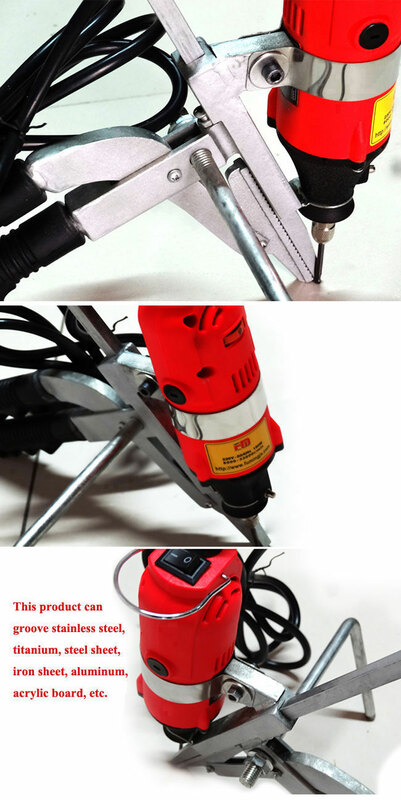 • The motor of this new version metal bender is replaced by a new enhanced one, which is more powerful and durable. • Also, some modifications in detail are made according to the customer feedbacks. • We believe this product will be welcome by vast number of users and popularized fast as well as make great contribution to advertising making and decoration industry. • Adopting imported motor, durable and energy saving, and its power consumption is just one fifth of CNC groover. • This product can groove stainless steel, titanium, steel sheet, iron sheet, aluminum, acrylic board, pvc board, etc. • Limit screw makes it easy to adjust the depth of bit. • Adjustable screw on balance support can facilitate to different surface of workbench. • Several times faster than numerical control slotting machine, greatly saves time. • Replaced with superior large power motor, effectively solved power shortage problem and easy burning trouble of old machine motor. 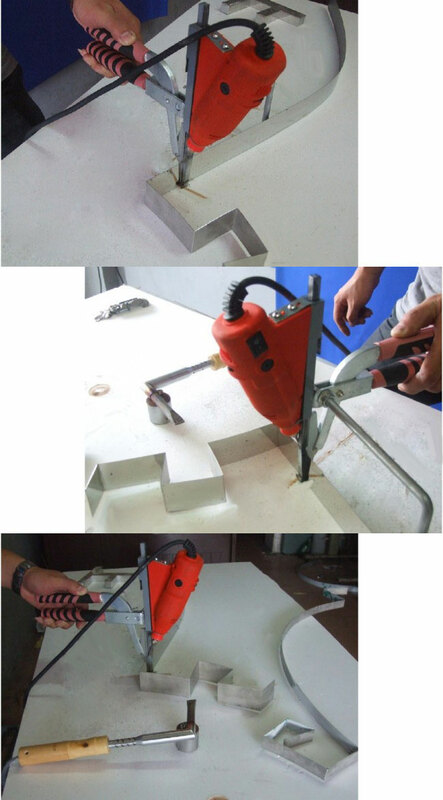 The metal bender is suitable for less than10cm height metal strip, like stainless steel, aluminum, galvanized sheet, acrylic, etc. Each bit can open about 150-200 tank according to different material. 1. For lettering tools, please choose original product and keep far from the cheap copied one! The bits are consumable, so please purchase more for spare use! 2. The bits are vulnerable, and could be damaged differently depending on different materials it bears with. Each bit can make about 200 grooves individually. 4. Hold the motor by left hand, utilize the guideway shuttling up and down to groove. For first users, it is required to make proper adjustments according to strip thickness and material, and it may take a while to manipulate.